On December 13, 2018, Future Ready Schools® (FRS) held a webinar as part of the ongoing professional learning opportunities for school leaders. The impact of personalized professional learning opportunities for educators when it comes to student achievement. How instructional coaches can construct meaningful personalized professional learning opportunities through implementing innovative learning pathways. The role social media plays in helping coaches facilitate personalized professional learning opportunities. The importance of creating a personal learning network (PLN). The role of reflection in personalized professional learning. Don’t miss out on this opportunity to take a deep dive into the Future Ready framework gear – Personalize Professional Learning and how instructional coaches play a vital role in cultivating a culture of continuous learning. Dr. Sarah Thomas: Hello, everyone! My name is Sarah Thomas, and I’m an FRS advisor and a regional technology coordinator in a large district in Maryland as well as an affiliate faculty member over at Loyola University. And I’m joined today with my fellow FRS advisor Brianna Hodges. Briana Hodges: Hey, guys. I am Brianna Hodges, and I am also Future Ready Schools advisor for instructional coaches and a tech coordinator for Eanes Innovative School District in Austin, Texas. 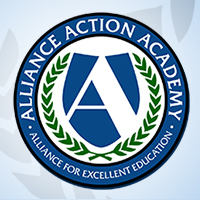 Future Ready Schools is a project of the Alliance for Excellent Education in Washington D.C.
Future Ready Schools is a collaboration between the Alliance and a vast coalition of over 60 other national and regional organizations. The goal of Future Ready Schools is to maximize digital learning opportunities and help school districts move quickly to personalized, student-centered learning. The effort provides districts with resources and support to ensure that local technology and digital learning plans align with instructional best practices and are3 implemented by highly trained teachers and maximizes learning experiences for all students, particularly those from traditionally underserved communities. Today we’re gonna focus on the curriculum and instruction gear, specifically through the lens of instructional coaches, which Sarah and I have the great honor to advice for. So, today’s hashtag is FutureReadyCoach, so #FutureReadyCoach. And as always, also use the hashtag FutureReady. Thank you for making an investment and joining us today as your host on this webinar on student-centered initiatives. So, with us today is Dr. Randall Sampson. He’s the founder of Liberty Leadership Development. What an honor to have you hear today, Dr. Sampson. Can you take a few moments to introduce yourself? Dr. Randall Sampson: Oh, absolutely. Thank you so much for having me. It’s absolutely great to be here, and just being a part of the Future Ready movement is awesome. And one of my things that I do is I work with school districts across the country, so I am located out of Columbus, Ohio. And I am a four-hour direct flight to anywhere in the continental United States, and that’s a great feeling to where you can go anywhere that you need to go and help people out to really implement some of these Future Ready components. Dr. Sarah Thomas: Well, that is awesome. So, thank you again for joining us, Dr. Sampson. And we’re gonna go ahead and dive right in. So, the very first question for you today. So, sometimes it’s difficult to see a direct connection between professional learning and student achievement. So, you’re seeing that happen. So, can you share a bit of your magic with us? Dr. Randall Sampson: Yeah, sure, absolutely. So, the biggest part is figuring out what the measurement is or what the magic is, right? And so what I tell people all the time is we’re so focused on achievement, which is a good thing. But there’s also the other side of the equation, which is growth, right? So, kids will show up at different levels. And to no fault of themselves. It’s just where they are. So, we have to figure out a way to meet them where they are. So, we provide professional development opportunities for teachers to actually do that. And the best way to do that is through personalizing the experience. So, it’s one thing just to tell teachers, “Hey, go personalize,” versus actually giving them a system where they can personalize their growth and then in turn take it to the classroom experience. So, with that, some of the results that have come in have been fairly dynamic, I would say. So, the schools that I’ve worked with, for instance, here in Columbus, Ohio. Over at Easthaven Elementary School where Vern Miller is the principal. So, within one year, based on a state report card, they had a two percent growth of students. So, it was pretty bad. They had an F on the report card. And after working with the staff for one year on their data and analysis and all that kind of good stuff, and really making it personal, they went from two percent to 81.6 percent, and received a B on the state report card the following year. They were slated to become a priority school, which is the lowest 5 percent of schools in the state. And now they are totally independent. So, they are a high-flying school based on the state’s metric. So, we don’t make up the score. We don’t make up the measurements. All we can do is provide the best opportunities for kids to do that. And that comes through their teachers. And so it’s different ‘cause it’s just one school that kind of does that, but when multiple schools do it, there has to be something going on. And in the same district, over at East Linden Elementary School, where the principal is Sheryl Jones. Same thing happened there. So, she has a high special education ESL population, and they scored like a B on their state report card, which was one of the highest scores in their urban setting. So, these things really work. And it’s so exciting to see the success for kids. And to be able to use that same formula not just in one district, not just in one state, but across states. In a similar state like North Carolina, where we have a blended learning school in rural North Carolina. And they have a top ten percent performing school district in the state of North Carolina by using personalized learning for their faculty and staff and for their students. So, that’s the impact that we’re looking for, beyond just the test scores but the ability for kids to really enjoy school and demonstrate that growth where they are instead of just looking at the achievement levels. Dr. Sarah Thomas: Wow, that is excellent. So, thank you so much for sharing those examples with us. So, we have a follow up question from one of our viewers. So, Tara H. from regional school district 13 in Durham, Connecticut wanted to know what PLC structure is most impactful to student achievement. One that’s set, like for example eight weeks long and focused on one instructional practice? Or one that’s more fluid and that’s focused on needs as they arise through the classroom – I’m sorry – through discussion of classroom data? Dr. Randall Sampson: Yeah, so, what I’ve found is sometimes when we set things, it gets a little messy ‘cause they don’t quite follow the flow that we expected them to follow. And so we end up making adjustments anyway. So, the big thing that I always encourage is this whole process of reflection, right? And everybody always think that reflection is something that you do afterwards. And reflection is really something that you can do before you actually put this strategy out. So, now you look at your data, and you can say, “Okay, let’s work on short term goals, which could be five to seven days in our PLC,” and figure out where we are from there. And constantly make corrections and revisions as we go, rather than at the end of the nine weeks, we’re sitting there like, “Wow. This didn’t quite work out the way we thought it would.” So we have an entire metric that does that, that builds in both ways with teachers and schools. So, they can have a choice, right. Because it comes down to choice with individuals. And schools know their kids very well and where they are. So, I would definitely lean on making sure that there’s choice involved and working with the faculty on that. Brianna Hodges: Wonderful. Well, that actually dovetails nicely into our next question which is really centered on designing professional learning. So, oftentimes schools are really focused on this concept of personalized professional learning. It’s one of our major gears in the FRC framework as well. How can schools do this to personalize the learning experience, yet also remember that it’s that campus initiative? You know, keeping that overarching piece, but also meeting the needs. So, you’ve showed lots of examples. Can you walk us through what that practical – and give us an example of a practical application of that? Dr. Randall Sampson: Yeah, absolutely, absolutely. So, one of the things that I found when I first started this work probably back in 2012 or 11 is school districts started moving away from sending their select folks to a conference, right? And what school districts started to find out is, like, wow. We’re just mimicking a large conference. That’s all we’re doing. We’re not really giving people choice, not even true choice. So, with personalized PD, which is something that I created, it’s this whole notion of capture, curate, and share. Teachers all have a skillset of pedagogy, a skillset of practices, and a skillset of tools. We have enough tools. So, how do we capture the learning in action? So, now your professional development becomes more about what you’re doing. It’s almost like an action research componenet, right? So, now it becomes about what you’re doing. And I’m like, “No, no, no. That takes away from the personalization, right?” You choose the tools in your district. You choose the district initiatives and the district goals that you wanna capture, curate, share. So, you still have the overarching goal, overarching drivers of the district, but now the teachers have more control as to how they capture curate and share those components. And with that said, it becomes a richer experience. And then the tools are the tools that you have. So, you can become comfortable with social media tools. You could become comfortable with the district tools, whether you’re a Google school, a Apple school, a whatever is out there. Whatever devices that you guys have. Or whatever you’re comfortable with. And if you’re not comfortable with technology at all, if you have a Polaroid picture – capture a picture of a kid smiling or interacting in the class and demonstrating their learning in that process. So, that’s basically the gist as to how the capture, curate, share component works. 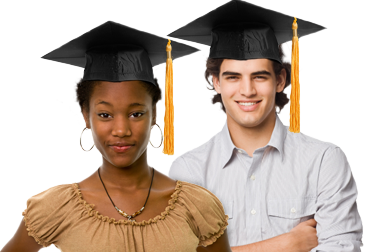 But it also allows teachers to submit those items for their graduate credit. So now teachers can work on licensing renewals. And some distracts that have negotiated contracts, you can submit that towards you salary increase or your point scale. You can submit that towards your school improvement goal. So it has multiple purposes. So, now professional development becomes your Swiss army knife of improvement rather than just another thing to do on aside. Brianna Hodges: Wow. I love that. And rather just the answers to a set of questions, right, now all of a sudden, you have actual leveraged practical application. That’s amazing. A quick follow-up to that. Nancy Rose from Meramec School District asked about micro-credentialing systems. Do you see a connection point into that and how that is working with professional personalized learning pathways? Dr. Randall Sampson: Yeah, absolutely. So, the micro-credentialing is huge right now. So it really plays a key role. And it’s a great way for teachers to demonstrate their knowledge or their expertise in something. But it’s not even just to demonstrate expertise in something. It’s the ability to show that I tried something, right? And maybe you weren’t the best at it or it didn’t work out the way that you expected it to work out, but you’re demonstrating this notion of growth mindset. “I’m gonna try something, and I’m gonna do it the very best that I know how.” And if somebody else comes along and takes a look at it and can say, “Hey, I can take this and improve upon it.” Now we’ve just improved as a profession. So, the micro-credentialing is huge at the moment. And the biggest struggle with the micro-credentialing is finding a vessel for transport. When I say that is what value does it have outside of the fact that I can hold up a micro-credential and say, “I’ve done this,” right? And that’s where the personalized PD comes in, because it shifts and creates value for your experience. So, if you wanna use your experience with the micro-credentialing for licensing renewal, the personalized PD does that. If you wanna use it for salary increase, it does that. If you wanna use it as a communication tool with parents, it does that. If you wanna use it as your evidence for your PLC or your PLN, it does that. Brianna Hodges: There you go. The biggest takeaway for me in that was that notion of demonstration, right? That importance of actually demonstrating that knowledge, that opportunity for learning, that quick little lesson. I think that that definitely resonates for us, instead of just that sit and get that passive opportunity of “Here’s that information.” Actually turning that and demonstrating it. Thank you for sharing your thoughts on that. Really quickly, I wanna remind our viewers that the hashtag for today’s webinar is FutureReady and FutureReadyCoach. Feel free to ask your question on Twitter. We’re gonna keep monitoring that, and the conversation can keep going outside of the webinar as well. Dr. Sarah Thomas: Yeah, absolutely. So, we wanna give a shout out to our coaches all over. So, how can we as instructional coaches construct personalized professional learning and support best practice instruction? Dr. Randall Sampson: Yeah, so that’s the key. And so it comes down to mindset. So, this is what I tell folks all the time. “Hey, I’m just a facilitator of the learning. I’m the guide on the side, right?” So I create this learning opportunity for the teachers. And the learning opportunity arrives when the teachers figure out what works for them. How do we capture, curate, and share those components and make it very visible? So making the learning visible. And have the ability to really talk about these items, and now we can find the resources and crowdsource the knowledge rather than me coming in with a bunch of tools and just throwing them out you. You know that list of “101 Ways to Use Google Drive.” You get to like Way Number 5 and you stop reading. So, it’s all about personalizing that experience with your folks. And I do believe that the instructional coaches are there because they’re really good. And I’m probably preaching to the choir, because that’s what they do, right? But nobody else really knows that, and so I wanna be first people to actually say it. So, yeah, they’re really, really good at what they do. So shout out to them for doing that and personalizing that experience with their teachers. And I think if you just keep driving home that message that you’re not the person with the answers, but you’re the person with the questions, right? Brianna Hodges: I love that. I think we often talk across the country about how a sports coach, basketball coach, isn’t actually out there lacing up the sneakers, jumping on the court, running along the side – as much as we would want to, as much as I’ve definitely wanted to many times. We can’t go and do that. But instead we’re breathing in to our players and helping that kind of go through it. That’s one of those – especially if we look at that from the coaching perspective, continually bringing in that instructional mindset but how are you seeing that fit in with your work? Or not? Dr. Randall Sampson: Yeah, so that’s what it all comes down to. It’s not knowing all of the answers, but being the encourager and _____, right? And so you’re constantly going and you’re constantly asking and probing. In our industry, the person with the best answers is not necessarily that person. It’s the person with the best questions. So, how do you question? How do you continue to be inquisitive? How do you continue to create that culture where people are questioning each other and questioning each other’s practices? And that’s the only way where things open up. That’s the only way where you have that communication versus going in with all the answers and telling people what to do. That doesn’t really work. It’s about the people you surround yourself with. It’s about the quality of people. And the people who are self-driven, and people who are self-directed. And creating that culture is what does it. And he hangs his hat on creating that elite culture. And the culture comes with accountability because everybody loves accountability but nobody wants to be accountable. So, that’s what it also comes with. We have a culture where you’re accountable for what you do, and you’re also accountable for building up the leaders around you. So, that kind of goes with that sports analogy. It doesn’t work out all the time, but the ability to have that growth mindset to actually push the boundaries and to seek greatness every single day, that’s what it comes down to. And that’s kind of how that coaching model works, and that’s how my coaching model works with it as well. Brianna Hodges: Thank you for that. Dr. Sarah Thomas: Yeah. That is great. So, just wanted to interject really quickly and remind our viewers that the hashtag for today’s webinar is FutureReady and also FutureReadyCoach. We have all these different questions that center on reflection for our students but is often an overlooked opportunity when we talk about our teachers and our faculty. And so can you just share with us. You’ve used that word over and over again, and I know how important it is for you and your work, talking through demonstration and talking through that almost kind of metacognitive experience for our teachers to really have that growth mindset as they go through it. So, talk with us a little bit about reflection for you. Dr. Randall Sampson: Yeah, so I find reflection to be one of those things that it becomes second nature, and so nobody really talks about it anymore. It’s just an expectation, right? But until we start having tools that demonstrates the reflection, I think that’s when the conversation really starts. So, one of the really cool things that I found was this tool called Wakelet. So, I take reflection as a way of curating items. So the ability to curate items and put them together creates an opportunity for somebody to reflect upon their learning. So you create this tapestry of information based on how you see it. So, now it’s not asking a student, “Hey, did you reflect on this? Did you write about this? Did you create your summary?” No, so the kid digitally curates what they’re doing and creates a collection of items to demonstrate their knowledge, and that’s how we start to think about reflection. So, reflections becomes more a practice of curation. And prior to the digital revolution, curation became more of a science poster or, you know, you draw on a Venn diagram of different items, so it was very manual. And some kids actually think things out, and in their mind they’re curating. But they just didn’t have a medium to express themselves. So, now with schools and with teachers, they’re also using this tool like I’ve mentioned, Wakelet. So it’s awesome, where you can have all of your ideas and all of your digital items all in one location. And you can tell a story that’s germane and dynamic to you. And it goes far and beyond the learned process would ever take them. We’re not reflecting back on last year. We’re reflecting on what are we going to do to plan and institute and implement our culture coming up to the new school year. And that’s how the summer reflection goes. But I try not to make it be too overwhelming. So, one of the things that I have, and you guys’ll like this – it’s called a Sip’n’Pin. So it’s called hashtag SipNPin, right? It’s all part of personalized PD, so in the summertime, if you’re a teacher, we know you work hard. We know you do a lot of things. Take the vacation, hang out by the pool, do all the things you do. But go to Starbucks, get yourself a drink, sit at the pool, pull out your phone, go on Pinterest, sip your drink, and pin the items that you think you’re going to use next year. And now you can share that with your colleagues over the summer, throughout the school year, whenever, right? So, now reflection becomes about what I’m going to do versus where I’ve been. And as great teachers now, at the end of the school year, we’ll never see that same make up or group of kids unless we loop with them. And that’s often seldom, right? So, the Sip’N’Pin opportunity really helps build forward on the reflection process. So, that’s just one of those ideas that we practice. And teachers love it. They absolutely love it. Brianna Hodges: That’s great. Terry Novachik from Element Education had asked about what were your thoughts about creating portfolios for professional growth and sharing some platforms that you recommend. So you’ve shared Wakelet, you’ve shared social media, Twitter, Pinterest. I mean, lots of those different things. For me, in talking across the country and working with coaches everywhere and leaders everywhere, it’s this notion that we just – our resources and sharing of those resources can be found in some many different ways. To your point, what I’m taking away from what you’re saying is that we have to jump on that action point to do it. Like it’s not enough to just find the things, but then it’s that continual revisit and getting better as we go and sharing that, reflecting upon it, reflecting to and from all of our work and with each other. So, I love that. Are there other platforms that you have found super powerful that you wanna throw a shout out to? Dr. Randall Sampson: Yeah, so definitely a shout out to the Wakelet platform. A shout out to my friend over at Flipgrid. And the cool thing about Flipgrid is I had a conversation with them, and now they have this whole mixtape component as well, so now you can curate all of your Flipgrid videos over time. So you can say, “Okay, these are the exemplar ones based on the rubric. These are the ones that need a bit more work. And these are the ones that we really, really have to take a look at.” And you can share those exemplar ones all the way across the medium with faculty, staff, students, parents, anybody that has the link. So, just the ability to curate those things on that platform is huge. And then obviously we have the Pinterest PD which is awesome. So you can absolutely use Pinterest as your PD tool rather than just a tool to go at look at recipes. You’re actually using Pinterest as your recipe designer for instruction. So, it’s things like that. And definitely using Twitter. And Twitter has Twitter moments where you can get a collection of Twitter moments, so you can curate those Twitter moments that way. So, it’s items like that that really resonate with me, that I really love. And even ability to look at podcasts, to take blogs, right? So you can look at Monica Burns. Monica Burns has excellent blogs. And you can just take her blogs. I would put ‘em into Wakelet. You can take her blogs, put ‘em into the Twitter moments. Or you could take her blogs and put ‘em into Pinterest. So it’s totally up to you. You have so much choice. Brianna Hodges: It’s like finding that perfect pair of jeans, right? Like there’s so many choices that are out there, but once you find it, then you know. And I love that. That’s what you keep circling back on is that there’s so many choices. There’s no one way. There’s no one ring. But find what works best for you. And leaders, have the faith in your people to believe that they’re headed the right direction and trust them to do that as well. Thank you for sharing that. Dr. Sarah Thomas: Yeah. Yeah, and I heard you talking a lot about finding different things and sharing them out, so that kind of piggybacks right into our final question. So, a lot of times we need to look outside of our school walls for inspiration or answers. So, you know, I love social media. I love connecting and sharing. So, how important is creating and maintaining a PLN? Dr. Randall Sampson: So, a PLN is amazing, right? So it’s basically, for folks who don’t know, so it’s a Personalized Learning Network, right? And so it’s basically your own learning network at the tip of your fingers. Whatever you wanna learn, whenever you wanna learn, how you wanna learn it, it is awesome, right? So, one of my examples that I always use is book studies. Everybody does a book study in their environment. You guys read a book together. People get around and talk about it. But sitting around and talking sometimes is not very conducive to time, because we’d all run a million miles an hour. So, using your PLN to drive maybe your book chat. Maybe a book chat PD or something like that. You can use Twitter. You can use Instagram. You can use Google Drive. Whatever. Anyway that you wanna harvest that and have that conversation with other people outside of your building, that is huge. So, for instance, I have – this summer we created a book chat with this organization Edumax Books. And so the authors did a phenomenal job as to getting their books out to folks, and people reading about it and having cross conversations in boxer, in Twitter, in Flipgrid. Whatever choices the folks wanted to figure out how to communicate, it was available in their PLN. So, stuff like that where if you’re an author and you’re with Edumax, you’re gonna have a great experience just kind of pushing out the learning. But the learning is not about the author. The learning’s about the people who are all engaged in this PLN. And that’s kind of how it works. And your PLN is not just restricted to adults, right? So, down in Wilson, North Carolina, the school that I work with down there, they created an awesome PLN for the little people. So, for kindergarteners, right? Because the technology restrictions with the little folks and all that, they figured out a way to where they can take Wakelet, leverage Wakelet as their PLN, put all of their YouTube videos, how to say the alphabet, how to do the songs and all that stuff. So now when Mom and Dad are grocery shopping, the kids take the phone, they open up the Wakelet app and click on their class. And they could like sing along with the music, learn how to read while Mom is shopping. We’ve gonna such tremendous feedback from parents about it. And the kids love it. So, the PLN really stretches across all boundaries, but it comes down to the individual. What do you want? How do you want to improve yourself, and how do you want to improve the people around you? That’s what it comes down to. Dr. Sarah Thomas: All right, so, Dr. Sampson. Question for you. About how we, as educators, how school leaders can empower us and cultivate our power in order for us to personalize and improve our craft? Dr. Randall Sampson: Yeah, that’s a great question. I get that question all the time, because as we all know, at the end of the day, the school, test scores, community, the school board, everybody points at the school leaders. So it’s a tremendous amount of pressure on that school leader. And I think that’s the great thing about the Future Ready movement, right? So, one of the things that I work with leaders on is we have to meet our teachers where they are just like we expect them to meet our students where they are. And with that, it takes finesse. It takes a very great skillset. But that skillset is something that’s practiced over time. It’s not something that you necessarily just read in a book all the time. But what it comes down to is a level of consistency and the Future Ready component really brings that. So, you guys have multiple meetings, multiple conferences, multiple venues, multiple resources for the leaders to pick from and chose from to create their level of consistency and familiarity. And with that they can work with their educators on that. And it’s one of those where “Well, I told the teacher to go personalize, and nobody’s personalizing. And when I look at it, it has nothing to do with our outcome that’s mapped in our data.” And so one of the things as a school leader, we have to be comfortable with giving up control. We have to have the ability to say, “Hey, guys. I’m gonna step back, and I’m gonna entrust my teachers to really do what you guys say that you wanna do.” And it comes down to having that level of communication. And so one of the things that I work with leaders on is just the ability to create a Twitter handle. Create a school Twitter handle. And it’s amazing in 2018 going into 2019 how many school leaders still do not have a professional Twitter handle, how many school leaders still are not on LinkedIn, how many school leaders still say, “Well, Snapchat’s for the kids.” You know, that kind of stuff. So just this ability for a leader to have a growth mindset and to say “Hey, guys, I’m gonna have to demonstrate some grit here and put some skin in the game. I might fail tremendously, but I’m gonna fail forward,” right? And so that really buys a lot of credibility from the people that you’re working with, whether it’s the teachers, the students, the community. But it’s this ability to communicate with people where they are. That’s one of the big struggles that I found is leaders don’t feel often confident in using the technology because when we went to leadership school – I used to be an administrator, and I worked with principals. And you go to leadership school. Twitter was not part of the curriculum. Using a format like Google Hangouts was not part of the curriculum. So the ability to use these tools and create an entire different metric of measurement rather than just looking at compliance is really a big thing. And when I speak with school leaders, one of the things I really talk to them about is “You guys realize that the state test is a demonstration of minimum capabilities.” The state test is not a high ceiling. It’s the absolute floor. So, why are we striving for this floor versus striving all the way to the top? And the technology helps us get there. And the personalization helps us get there. But with more personalization, you have to feel comfortable to give up more control. So, the less the personalization, the more control, the more you strangle the culture and the organization and the innovation of teachers. I know this isn’t popular to say. I know it’s tough. But there’s some principals out there that have to have their thumbs on everything. Some superintendents out there who have to micromanage it. Some school boards that really want to put their hands on everything. But if you wanna have a culture of innovation, set the path, work together with folks, and trust your people to deliver. They will deliver in a big, big way. Dr. Sarah Thomas: Wow, that was gold right there. So, several follow up questions for that. So, how can we as instructional coaches collaborate with the leaders to cultivate this culture? Dr. Randall Sampson: Yeah, so one of the things that I’ve noticed, and it’s this little quirk. So, instructional coaches out there, you know who you are, and you’ll probably jump through the screen when you see it or when you hear me saying it. We’re starting to see leaders are using instructional coaches as quasi-administrators. That is not the goal of an instructional coach. Stop it. Cut it out. Don’t do it anymore. Let the instructional coach do what they do best. They are experts in leading the content. They are great with working with the faculty. They are awesome at harvesting the resources that are needed. And that’s their expertise. They are not quasi-administrators to deal with discipline issues or to deal with parents or to cover classes or to substitute for the assistant principal when they’re out or whatever the case is, right? So, that is the first step is to clearly define the role of the instructional leader and allow them to have the autonomy to work with teachers. And that’s what they do. And their goal is to focus on the data, on the student needs, and what the teachers need academically. Dr. Sarah Thomas: Absolutely. Absolutely. Okay. So, speaking of personalized professional learning, so we were talking about how educators can develop their own, how coaches can create models for educators to follow this personalized professional learning pathway. So, how about for leaders themselves? How can coaches help leaders personalize their own professional learning? And how can leaders personalizes their own professional learning? So kind of a two-fold question? Dr. Randall Sampson: Two-fold question, absolutely. So, one of the cool things that I’ve seen coaches do, some of the really great ones, they really took a look at the culture of the organization that they work in, figured out what specific tools a leader might need. And let’s just be honest. The leadership position is tough. It’s one of the toughest positions in K-12, right? So you have to have that trust as a leader in your instructional coach. When they come to you with tools, they’re not just coming to you with tools every single day bombarding you with stuff. But when they come to you with tools, they are quality tools that you’ll use over time. It’s not something that you’ll use for a week and then drop and pick up the next week. It’s gonna be something that you’ll commit to for a period of time and having that structure to actually do it. And then another suggestion that I’ve seen, and the Future Ready conferences really do a great job of it. So, they bring in expert speakers. They bring in local speakers who are great at what they do, superintendents and other leaders. And they really cultivate and take some of these leaders and their capabilities and put them on this big stage to help build a community. And with that, at these conferences, I’ve seen leaders use their devices to capture, curate, and share their experiences in real time. So, if you’re capturing, curating, and sharing your experiences in real time as a leader at a Future Ready conference. So you’re either tweeting about, you’re putting it on Instagram, you’re using Wakelet as your tool to kind of curate everything. And you can instantly share your Waklet collection of presentations that you went to, of resources that you got, or of people that you videoed and talked to, and share that with your building and teachers who are back in your district instantly. That creates a lot of credibility for the instructional coach. It creates a lot of credibility for yourself as a leader. And your community of learners are seeing you as a learner. You’re not just hanging out at some conference, eating bonbons all day long, right? But you’re actually taking some of these great resources that Future Ready is throwing out there. And one of the most innovative conferences that I’ve seen do that is this conference out in California called Q. So, Q does that really well where learners have an opportunity to come out, instantly capture, curate, and share their experiences and send it back to their districts in real time during the conference. So you can be inclusive of everybody back in your district who didn’t have an opportunity to learn with you. So, now you become the leader of learning. And the leader of learning is not dependent on a title. And you depend on your instructional coaches to really help you set that up and how to leverage that, what specific tools. If you’re gonna curate everything in Wakelet, how do we use Wakelet? What is Wakelet? Who do we call it Wakelet, to kind of get this set up. The principal doesn’t have time for that, but the instructional coach can really grab that item by the horn. The instructional coach can say I know specific students who have a skillset that could be in charge or curating our culture here, using Wakelet, right? And I learned that technique when I was at Q this past fall having a conversation with folks. And various teachers and leaders were saying, “Hey, we have to leverage everybody in our building.” And from that the idea was we can have – whether it’s a custodial staff, somebody in the kitchen, somebody working the crossing guard, or a student. Anybody that has the skillset that wants to take on this kind of endeavor can step up. And anybody that volunteers to be great, we will allow them to just go ahead and show all their glory. And that’s what it really comes down to. This ability to let go of ego. And I often tell people this all the time. When you enter that building, check the ego at the door. It’s all about the kids. Dr. Sarah Thomas: Absolutely. I love that. It’s all about the kids, and it takes a village. And it takes all of us and all of our different strands working together to make the difference. So, absolutely. Dr. Randall Sampson: Yeah. And one of the key things that I saw is at the central office level. Even central office personnel are slow to embrace personalized learning, right? Because when you give people choice, all of a sudden that person that works at central office, their position or their job becomes obsolete or expandable. At least that’s the way they view it. So, instead of adapting to personalized learning and figuring out how can I enhance personalized learning for others, my traditional job is going to become obsolete. So, I’m not going to engage in personalized learning. I’m going to sabotage the instructional coach. Or, I’m going to push against the Future Ready components because I wanna be comfortable in the old way of doing things. And that comes at various levels in central office, various levels in the building. But once we overcome that barrier to where people can see that personalized learning is not a threat. People having choice should not be a threat. People wanting to innovate and not strive for a minimum level of performance out of their kids should not be a threat. And that’s the challenge that leaders are having, and that’s the challenge that instructional coaches are having, to be honest. They’re in this in-between ground. And they can see everything swirling around them. And nobody really says anything about it. It’s just business as usual, right? I’ll try my best today and just keep quiet. But I think I’ve kind of pried that can open a little bit, and I’m hoping it creates more dialogue. It’s not to be controversial or bombastic about it. It’s to create this dialogue and create this scope of reference and reality as to where some people are. Not everybody in the district is at this level, but I think that’s where some people are. And that’s where some leaders are. And the amount of pressure on leaders is tremendous, and so the default is to just go with what I know. I don’t wanna do something that I have not seen before or have not tried before. And I think that’s the role of instructional coaches, to constantly push, to constantly create that level of innovation. Dr. Sarah Thomas: Love that. Love that. Thank you so much. Brianna Hodges: Wow. I am just so thankful for you for spending time with us today. I got so much out of it. I’m gonna speak on behalf of viewers from all over the country. There’s so much to be said about personalizing this experience and really honing in on the heart of learning. And I thank you for sharing that, for really bringing it in to us. Learning is really not learning if you’re just telling somebody an answer, if you’re just trying to get a test score to get to a test score. But if you really absorb that and you make it personal to the person, whether it’s a child – like you said, you built the PLN little learners, those kindergartners – or it’s our taller learners, a little bit more tenured learners. In order to really capture that, that’s got to come down to that personalized moment. So, thank you so much for being here with us. I wanna remind our viewers that the information on the Future Ready effort can be found at FutureReady.org. We encourage and challenge district superintendents to join over 3,100 others and sign the Future Ready pledge. We also encourage our school leaders watching today to join us at one of the Future Ready Institutes, which as always are always free for attendees. I would also encourage our viewers to get involved with our new and growing strands from district leaders to IT to principals, librarians, instructional coaches. We have vastly expanded the reach of Future Ready Schools. Check out our Facebook groups. Follow the hashtags, and look for ongoing activities in these strands everywhere. I wanna thank Dr. Sampson as well as all of our viewers for joining this webinar. Don’t forget to connect with us on Twitter @FutureReady or on Facebook at Facebook.com/futurereadyschools. Thank you again for joining us here at Future Ready, and have a fabulous day. We’ll see you next time.